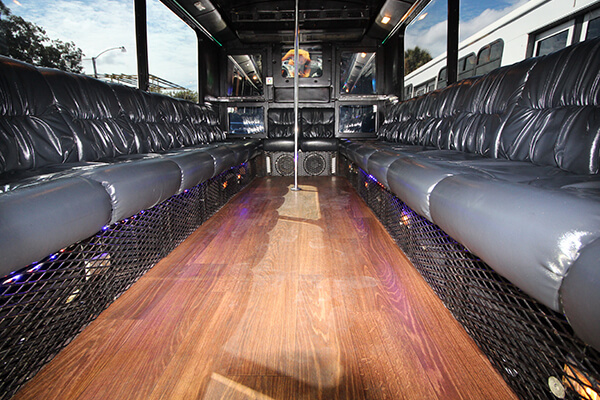 The best Tampa has to offer. 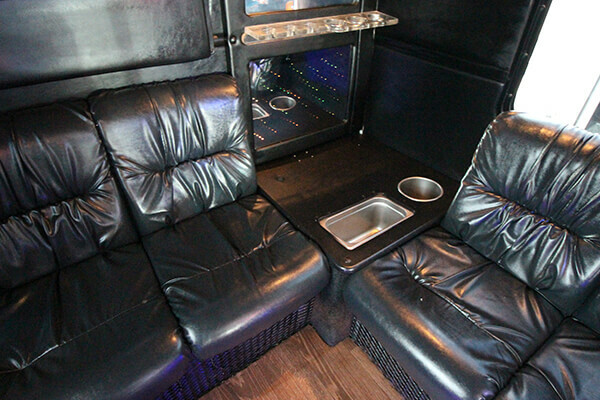 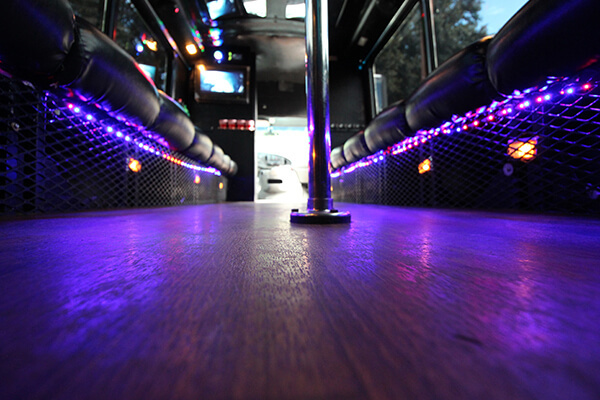 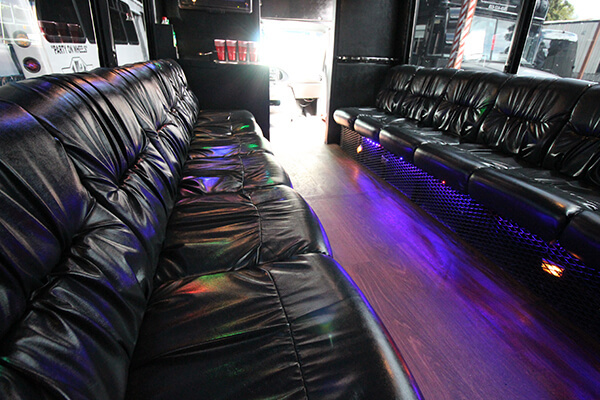 Take a ride in our beautiful black party bus for up to 20 passengers. 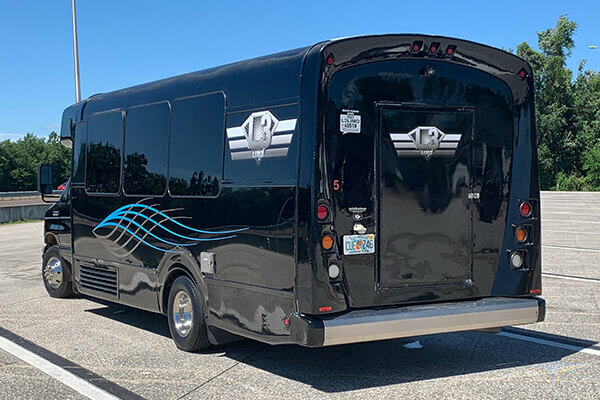 You'll love traveling in this vehicle the next time you're enjoying a bar hopping experience or tour of the Tampa area. 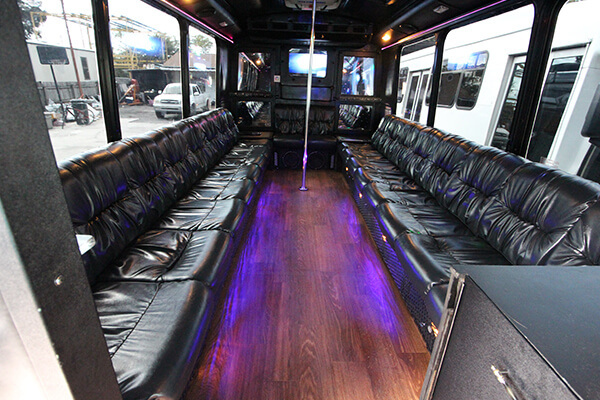 You're sure to enjoy the custom interior which features couch style leather seating arrangements, beverage areas and bars, dancing poles, hardwood floors, and much more.